Entering the property gives access to the hallway with a storage cupboard and then leading onto a fabulous open plan lounge/dining and kitchen area with a south facing balcony. There is a modern fitted kitchen with integrated units and appliances including a washing machine, gas hob with electric oven and a standalone fridge freezer. There is a patio door opening onto a private balcony overlooking Glasgow Green. At the rear of the apartment are two double sized bedrooms both with fitted wardrobes and a separate well-equipped family bathroom with a three-piece white suite and shower. The property is presented to a high standard internally throughout with wooden flooring in the hallway and kitchen/lounge, it also benefits from a gas central heated system and double glazing throughout. There is also the benefit of a secure parking space at the rear of the property, secure entry, passenger lift to all levels and well managed common areas. The property is available for sale with no onward chain. 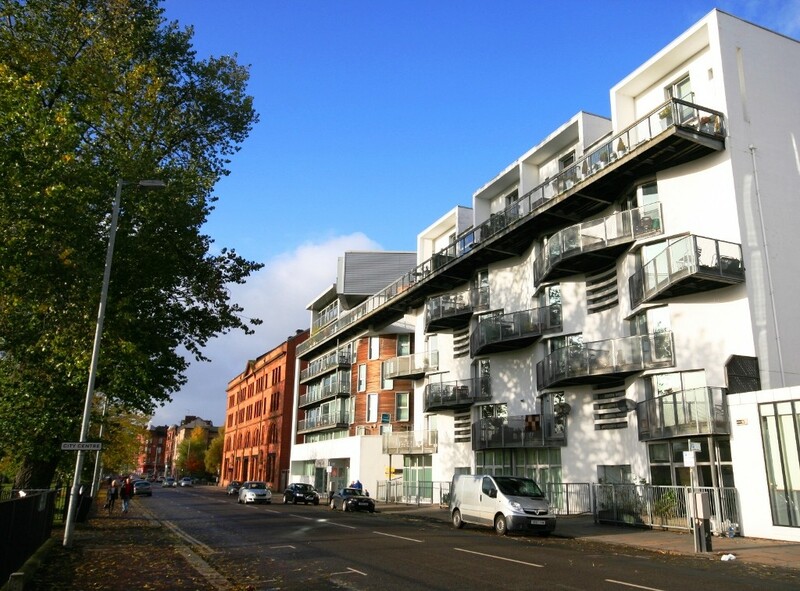 This property is located opposite Glasgow Green and close to the Merchant City area of Glasgow giving easy access to the wealth of bars, restaurants and clubs. There are local shops available on High Street, Ingram Street and over to Buchannan Street which is Glasgow's "Shopping Mile" plus good access to Strathclyde and Caledonian Universities. Viewings are by appointment through our sales office. (Remember your home is at risk if you do not keep up repayments on a mortgage or other loans secured on it). Minimum age required for a mortgage is 18. **Attention 1st Time Buyers, Landlords & Investors** Available now is this delightful and recently refurbished second floor two-bedroom apartment situated on Greendyke Street close to Glasgow Green. By sending us this form, you are agreeing to our Terms and Conditions.